Geographic Information Systems of GIS Maps are essentially a combination of data to give a clear picture of what is found in an area. Some of the data available in a GIS Map include Land Use, Local Streets, Cities and Towns, Transportation Routes, and much more. A GIS map can also be made so that it gives demographic data about a certain place. In fact, the kind of data that can be stored in a GIS map is endless – discretion is left to the creator and with Do-It-Yourself GIS Maps, that creator can be you. In this Do-It-Yourself GIS Maps product review, we will look at a product from MapCruzin.com. We will discuss some of its features. Hopefully this review can help you decide if the product is for you or not. In a hurry? Click here to visit the DIY GIS Map Website! Here are some of the top features of DIY GIS Maps. Look over these features carefully to see if the system is the right fit for you. One of the system’s top features is the fact that it does not require any experience to use. After all, not all of us are experienced with GIS Maps, some may not even be familiar with it or have heard about it just now or a few days ago. It works for almost anyone because it has been designed to be simple to follow. The makers of Do-It-Yourself GIS Maps also assure that the data provided in their maps come form reliable sources. However, despite this reliability guarantee, there is still no sure way for them to determine if information found within the system is indeed accurate. Users will have to exert their own personal discretion with it. Another great thing about Do-It-Yourself GIS Maps is the shapefiles supplied with the system work on a variety of platforms. Some of these compatible platforms include ArcView, Mapinfo, Maptitude, ArcGIS, Manifold, and many other commercially available Map systems. You can also access some hard to get maps from DIY GIS Maps, some of these maps include the Bureau of Indian Affairs GIS Shapefile Map Layer and the Bureau of Land Management GIS Shapefile Layer. Often, products can also be defined by their websites. If that were to be the case with Do-It-Yourself GIS Maps, then the product would undoubtedly pass. Their website not only provides information about their DIY GIS Maps product, but it also gives clients an in depth look into what GIS Maps are. This is a great feature for anyone who has little to no idea about what Geographic Information Systems (GIS) Maps are. The information provided is simply stated and is easy enough to follow. The site also offers tutorials on how to use their product. If you want to learn more about Do-It-Yourself GIS Maps or about GIS Maps on their own, give the product’s official website a visit. You can also download the system from there. 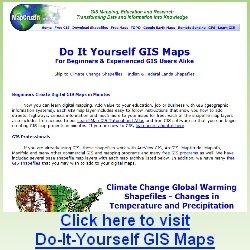 Click here to visit the DIY GIS Map Website!